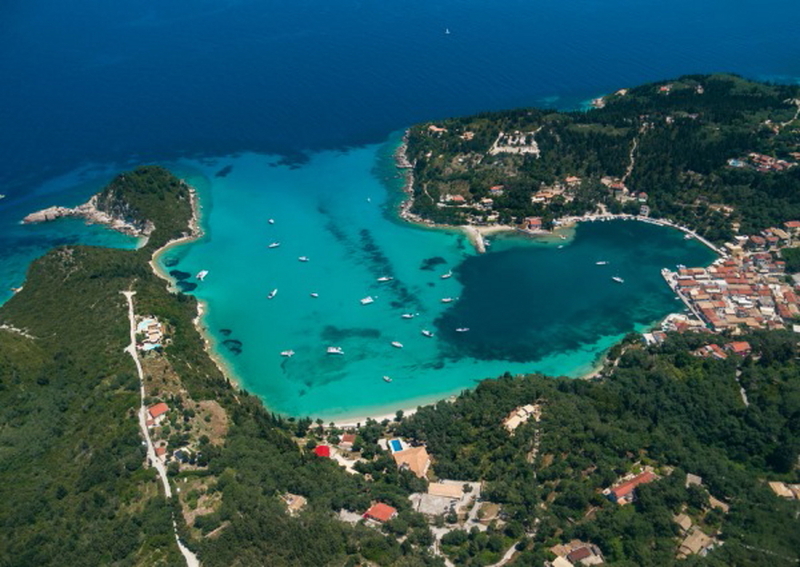 Use the form below to contact tour Blue Lagoon - Parga directly. For those who would wish to enjoy a special day cruise in the mainland of Epirus (facing Kavos on the opposite shore) with its enchanting locations, fantastic beaches, sea-caves and many small islands, the cruise to Blue Lagoon and then to cosmopolitan town of Parga is the only chance. Departing from the port of Corfu at 09:15 am, you will be able to enjoy the unique view of the Old Town, the royal Palace and the two Venetian fortresses. Heading to the South of the island you can see Kanoni and “Mon Repos Palace”, Prince Philip’s of England birthplace. 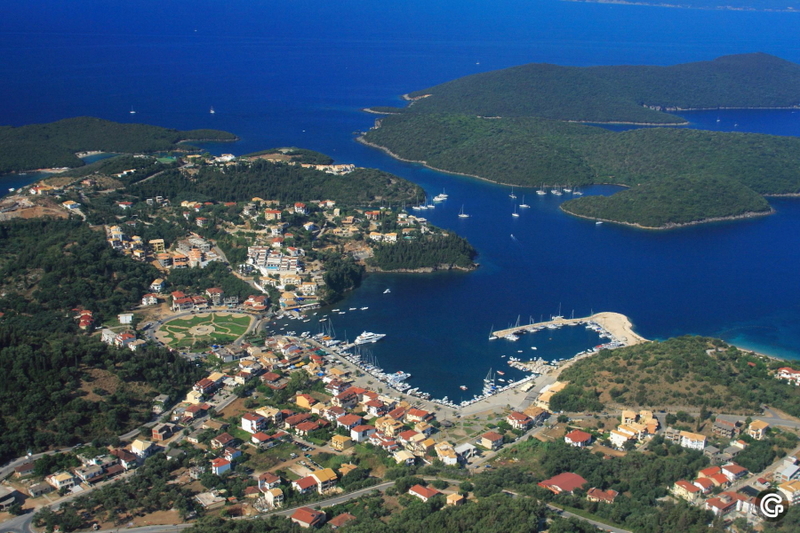 Next our boat will head to the South-east and will sail along Igoumenitsa, the capital of Thesprotia Prefecture and third in size international port of Greece. After this pleasant coastal navigation our first stop will be at the gulf of Blue Lagoon, where the famous film was shot. According to many historians, Arab pirates used to dock in this gulf during the Middle Ages, because it was one of their favourite safest ports. We shall stay here long enough for you to enjoy your swim in the exotic green blue waters or dive. Here you can also enjoy a meal on our ship, included in the cruise price, and chill out with a beverage, have a cup of coffee, available at our ship’s bar or sunbath on boat’s deck. After the utter unforgettable pleasure of swimming in the sky-blue waters of the Blue Lagoon gulf we will sail towards the magical Parga the Bird of Epirus as it has been called. This is a small mountainous port with island character, a rich and eventful history, rare physical beauty, romantic side streets and pathways with two three storey houses forming an amphitheatre under imposing remains of a Venetian castle. Here you will have 2 hours and 30’ free time to stroll in the narrow alleys, to enjoy your coffee, to swim and enjoy the turquoise beautiful beaches. 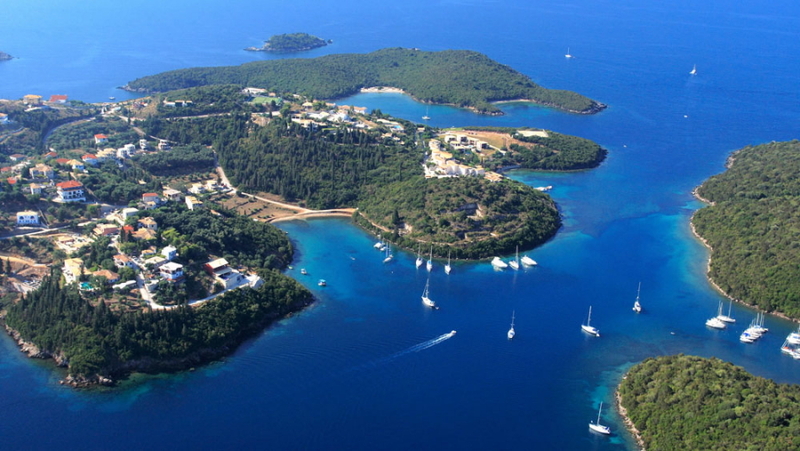 On our way back and approaching Corfu we will make a short stop at a small green island in the middle of the sea, trade mark of Corfu, the legendary Pontikonisi at the front of Corfu airport’s lagoon. 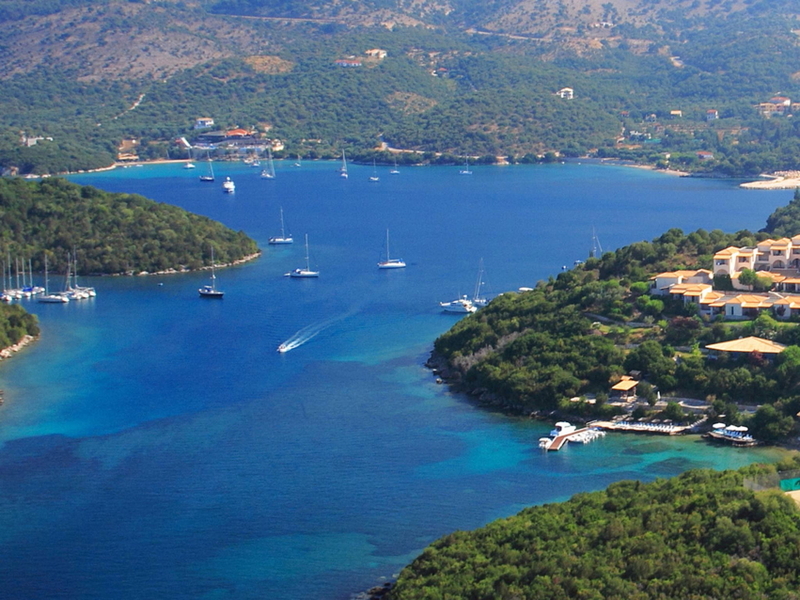 On the island there is a monastery that attracts a great number of tourists twelve months a year. According to the Myth, Pontikonisi was Odysseus’ ship, which God Poseidon transformed, amongst storms, to the green rock that it now is. 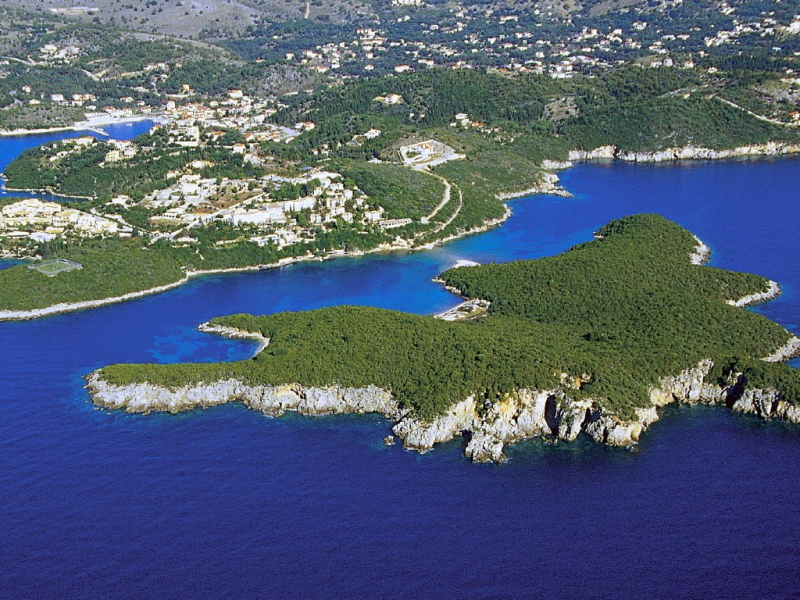 A short sail later will bring us back to Corfu, where your coaches will be ready to take you back to resort. Launch is included in the price and it offers: 2 chicken souvlaki , Greek salad, tzatziki , bread and a glass of wine or a glass of juice for children. Photo- or video camera, swimming suit, towel, sun oil, glasses, hat, comfortable shoes or sandals. The sooner you decide to join the cruise the better it is, provided that seats on the boat are limited. Just text or call Eos Travel at Tel. : 0030 26630 91044 Fax: 0030 26630 91112 Mob. : 0030 6956 204 488 at least 24 hours prior to the travelling day. On the morning of the travelling day, at the time and pick up point advised, you will be picked up by company’s coach. (The sign JOY CRUISES will be seen on the windscreen of the coach). Showing your ticket the driver will let you in. You will be dropped off at Corfu port, by the boat and the hostess in charge will place you in the boat. A short while later the boat will leave Corfu.